(Thanks for the twitpic link, Burkey). As someone who has had that sensation, I’m sending warm fuzzy vibes David’s way, now that he has a copy of his book in his hands. It’s a feeling that no amount of Kindle or Nook copies of ebooks will ever be able to replace. 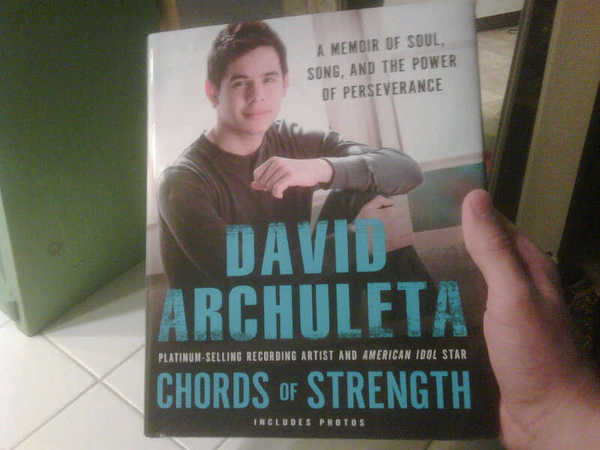 So, on that note, I am sooooo looking forward to getting a copy of Chords of Strength in my own hands. Due Date: June 1, 2010. I doubt David would ever get pulled over to present his “papers,” but would his mama, originally from Honduras, have to deal with this if she were to travel through Arizona? David is astute enough (with the exception of recent tweets earlier this month) to avoid commenting and tweeting on the more controversial issues, like the new Arizona law that allows for the racial profiling of certain people who are suspected of being illegal immigrants. Thus far, Latino celebrities from Ricky Martin to George Lopez to Perez Hilton to Eva Longoria to Shakira have voiced their outrage against these recent developments, and with good reason. Whatever you may feel on the subject of immigration (of which every single one of us – unless you’re Native American – is a descendant of immigrants), we cannot overlook the ways that racial profiling is done in such a way as to target certain communities. Whether we’re talking about “Driving while Black,” “Flying while Arab,” or now, “Walking while Brown,” racial profiling promotes discrimination by suggesting that certain bodies are prone to criminalization or “illegal” status. Not to mention the stereotypes it promotes. When we discuss the subject of “immigrants,” we immediately jump to Mexicans, Central and Latin Americans, and conveniently overlook Eastern Europeans and Asians, for example. Perhaps this is an issue of numbers, but if that is the case, we may have to ask ourselves why certain communities pose a “threat” and to whom is this “threat” posed. 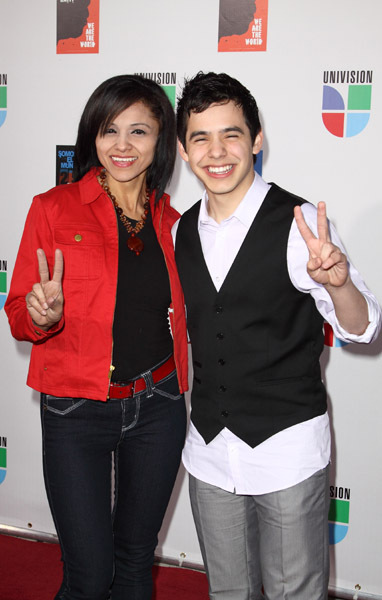 Last year, I posted a blog on how David was redefining Latinidad. Because of laws and prevailing attitudes, I cannot stress how important public figures like David really are in challenging stereotypes and bigotry. His Latin pride combined with his “all-American” persona do much to challenge the rationale behind so-called racial profiles. I doubt David will ever say anything on the issue – as other celebrities have done – but he just needs to be to showcase the irrationality of such laws and attitudes. In addition to my first-year anniversary of Soul David, this – my 400th post on this blog – is another milestone. 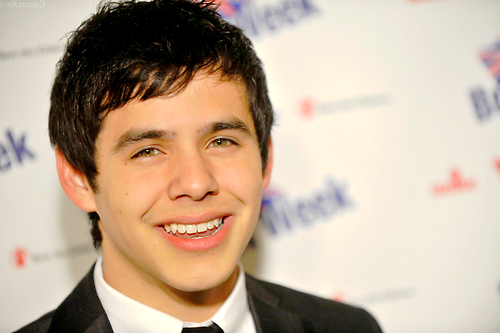 I want to thank you, dear readers, for all of your support and for tuning in to my various musings on the beautiful soul and soulful singing of our beloved David Archuleta. In celebration, I decided to do some “spring cleaning” and gave my blog a bit of a facelift. 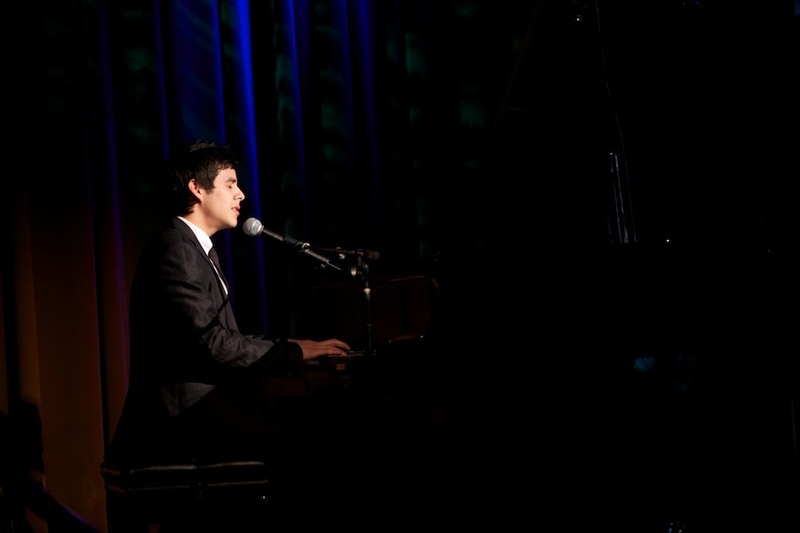 There’s that lovely pic of David by his piano, emerging out of the darkness to give us light. If there was ever a signature image of “Soul David,” that’s the one! 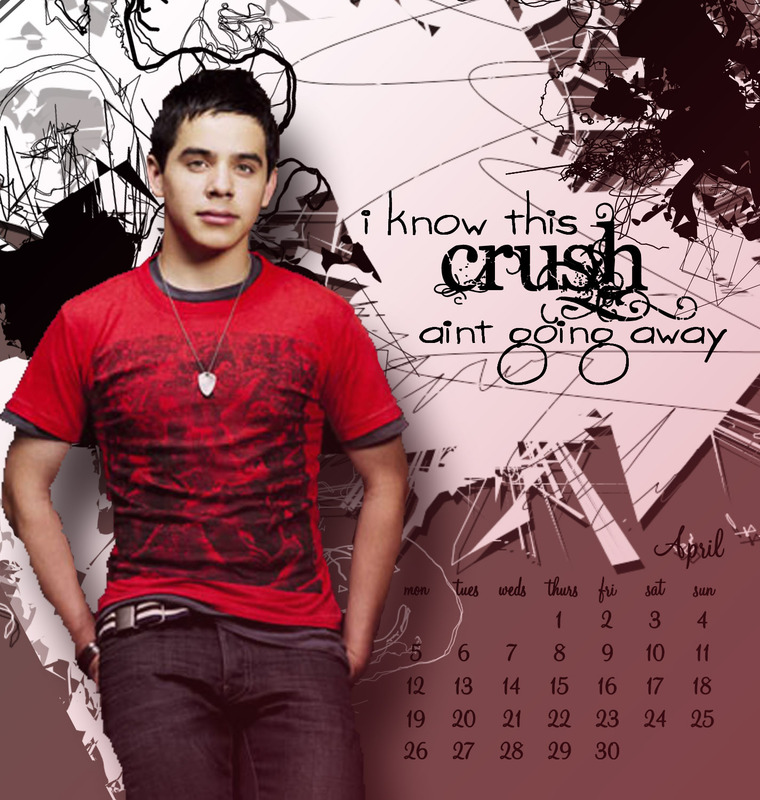 Also, I decided to close my “All Things David” blog and present the crucial information from that site in a special “All Things David Archuleta” page right on this site. And then, there are my original fan videos. With a new single (hopefully) next month, a memoir following, and an album due out by summer (keeping fingers crossed), here’s to a fruitful future for David and the joys of David blogging! Blogging ain’t easy! So, I must celebrate that it’s been a full year since I started Soul David. When I started last year, I only had a handful of readers, mostly my e-friends that I communicated with on TDC and in private. Now, I’m excited to see that my readership has expanded and perhaps will continue to grow. Thanks, all you David and Soul David fans! You’ve really added so much to this fan blog, and it’s because of you why I keep keeping on. Here’s hoping that I’ll continue to have the stamina to keep this going! Read My First Blog Entry. Last April, during Week 6 of the AI competition, David wowed us with a gifted interpretation of “Think of Me,” from Andrew Lloyd Weber’s Phantom of the Opera; Rascal awed many of David’s fans with a contemplative review of his “Think of Me” performance, titled A Real Musical Soul; and Sonic Ether had us jamming out to the remix. I’ve started to notice that in the mentor segments, there is a small but discernible difference in how the music industry luminaries talk about David, as compared with how they talk about the others. It’s not as much in what they say as it is in their attitude and composure. Like theyknow something. They seem to get calmer, to speak a bit more quietly, with what I can only interpret as a kind of reverence. Not a reverence for David himself, perhaps, but a reverence for the recognition of something inside him, something maybe a bit familiar, something fine and rare and glimmering. Lord Lloyd Webber gave it a name tonight. He called it a real musical soul. Welcome to the club, Andrew. If you’d like to pick up a pamphlet on the symptoms of ODD, they’ll be on the table after the meeting.